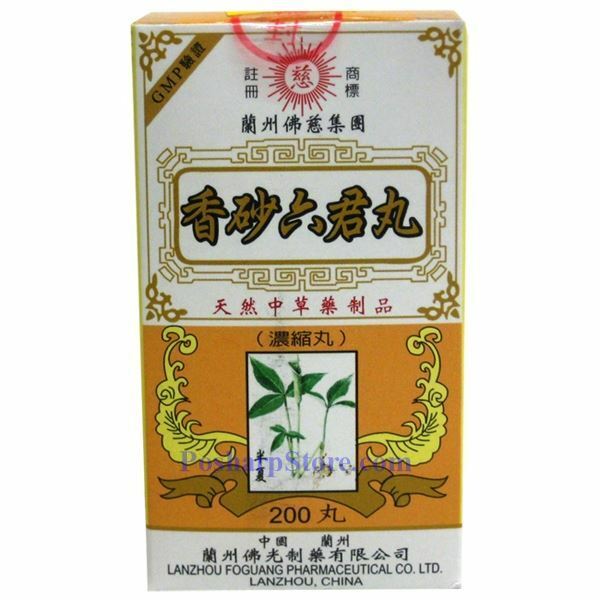 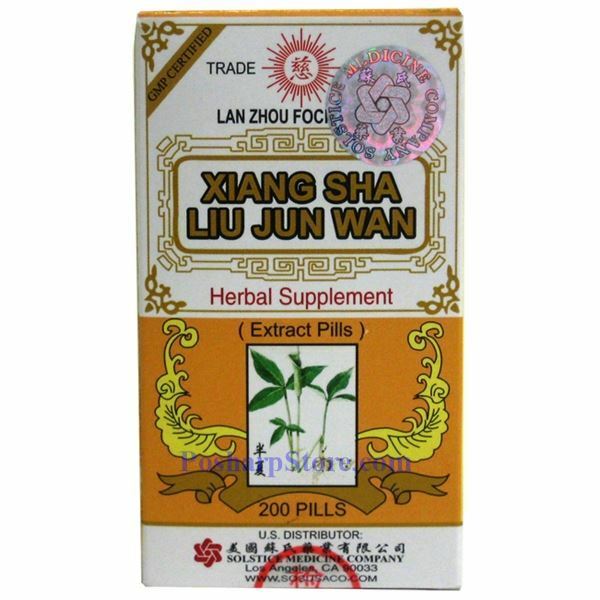 Lanzhou Foci Xiang Sha Liu Jun Wan, also called Six Gentlemen Pill, is a trusted herbal supplement that works to alleviate occasional upset stomach and bloating, while supporting the health of the spleen and gastrointestinal system. 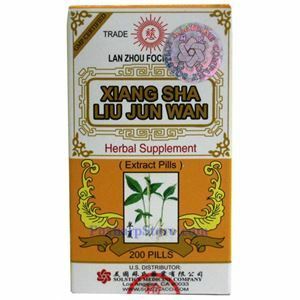 Ingredients: Mature Chinese Amomum Fruit, Codonopsis Root, Atractylodes Rhizome, Polyporus Sclerotium, Chinese Licorice Root and Rhizome, Tangerine Peel, Pinellia Stem, Mature Jujube Fruit, Ginger Rhizome. 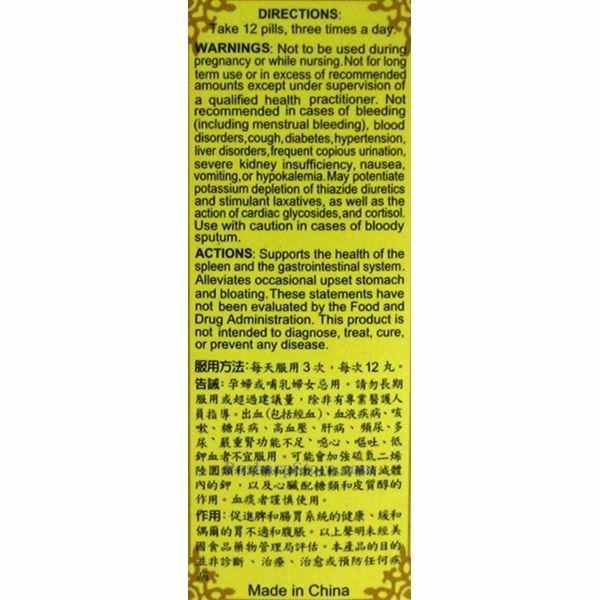 Directions: 12 pills a time, three times a day with water or soup.